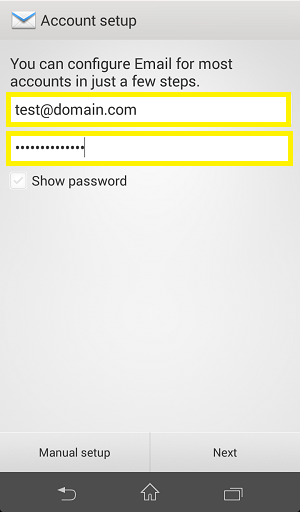 Click on the type of email setup you want for your device to see the full instructions. 1. Select the E-mail app on your Android phone. 2. 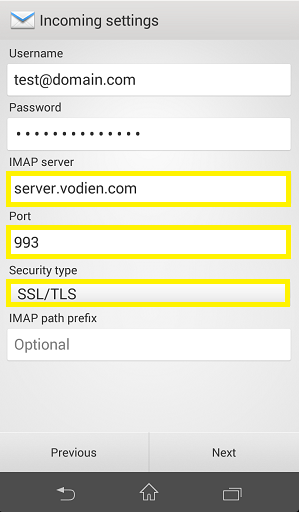 Enter your full Vodien e-mail address and password and then press Next. 3. 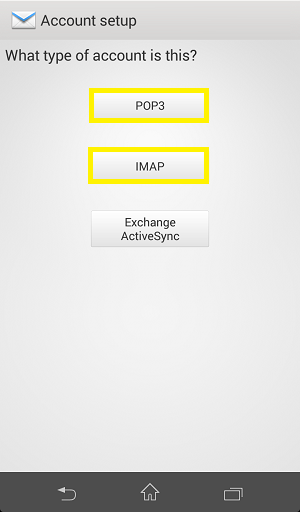 Select either IMAP or POP. 6. Give this account a name and enter Your name. 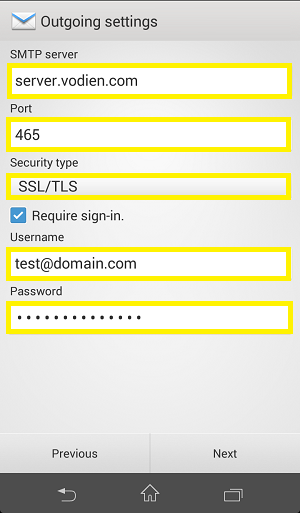 It is suggested to use your e-mail address as the account name to easily recognize it from any other e-mail accounts you may set up on your phone. 7. 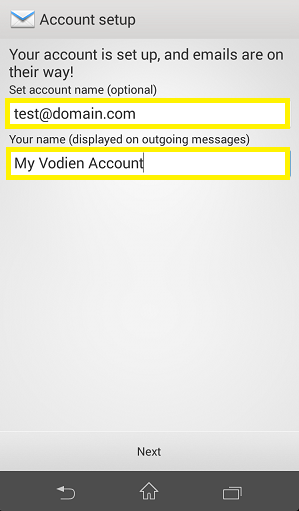 You can now click the Email icon again to access your Vodien e-mail account on your phone. The setup is complete. 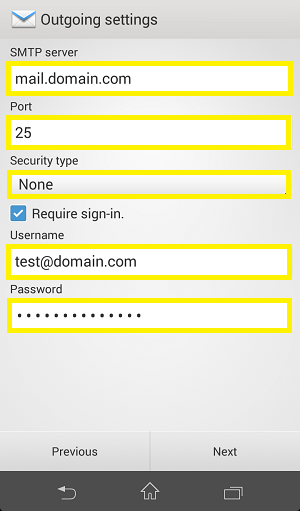 Your phone should download and display your recent e-mails in the application. 1. Find and click E-mail on your Android phone. 2. Enter your e-mail address and password and then press Next. 3. 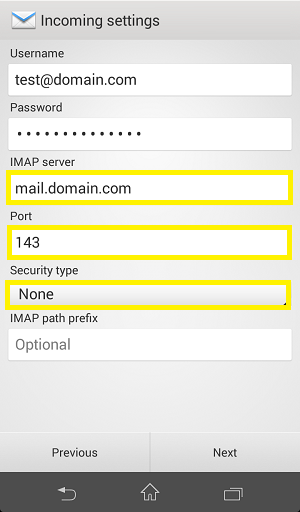 Select IMAP or POP.